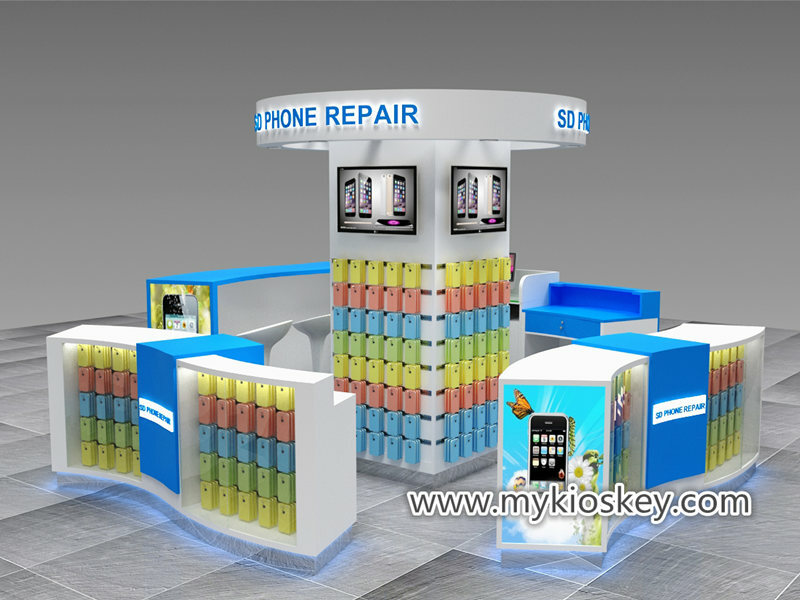 hello everyone , today our workshop just finish one set blue cell phone accessories kiosk , it is very attractive and high quality , here i can’t help sharing it . 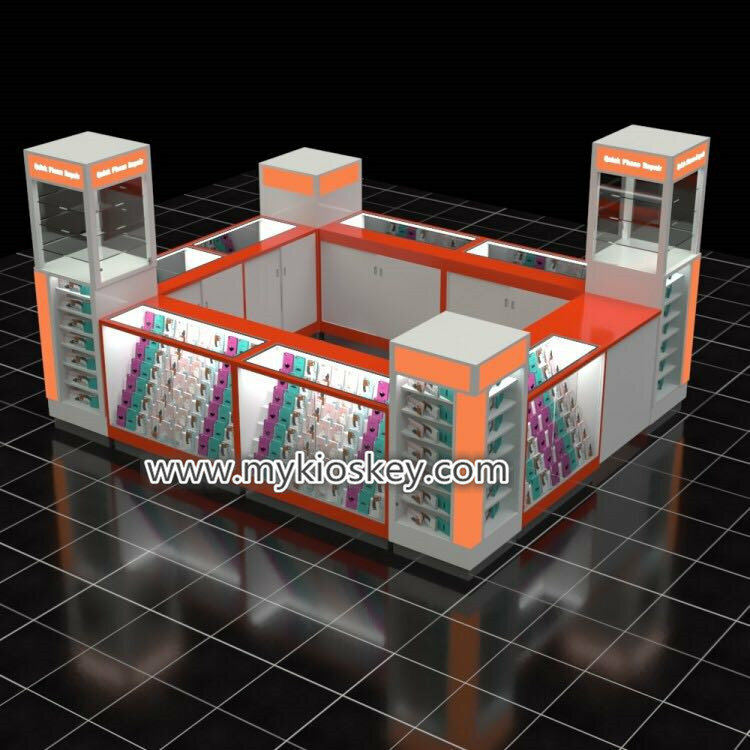 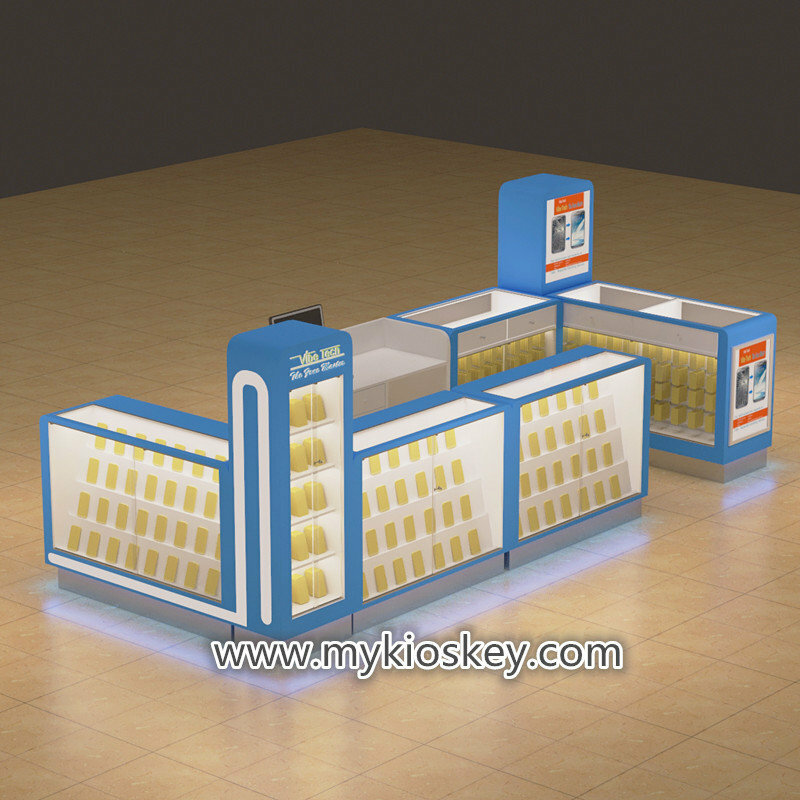 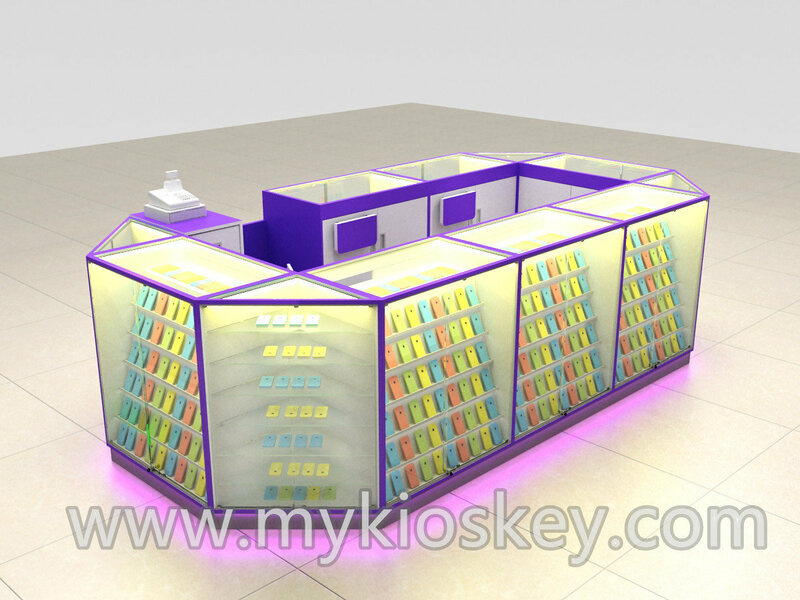 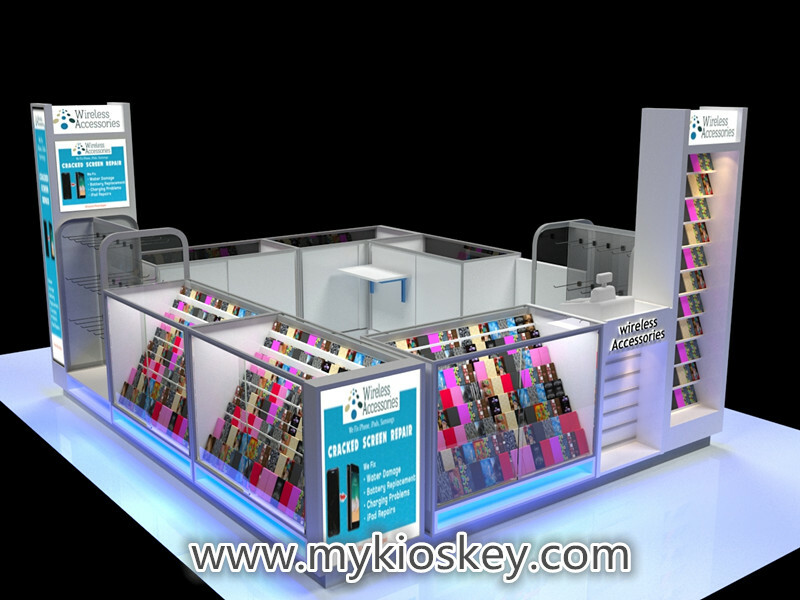 the kiosk main color is blue , also have a little white match , the size is 5*2m , and main is for accessories display , so we made many slat wall display ways for hang products. 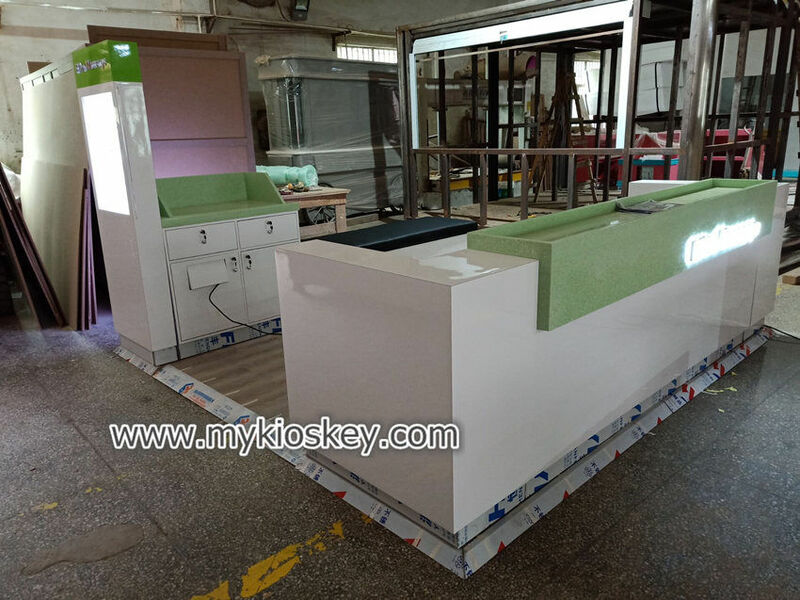 some display cabinets top is for glass showcases . 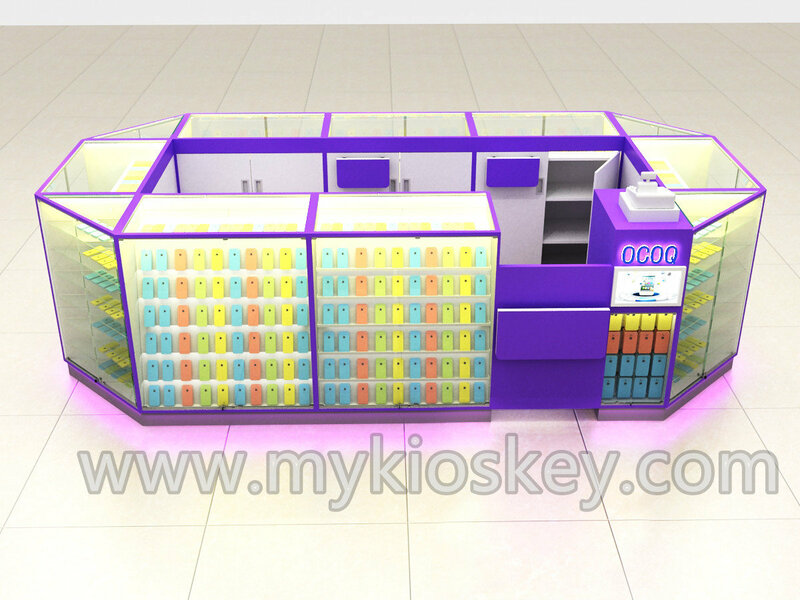 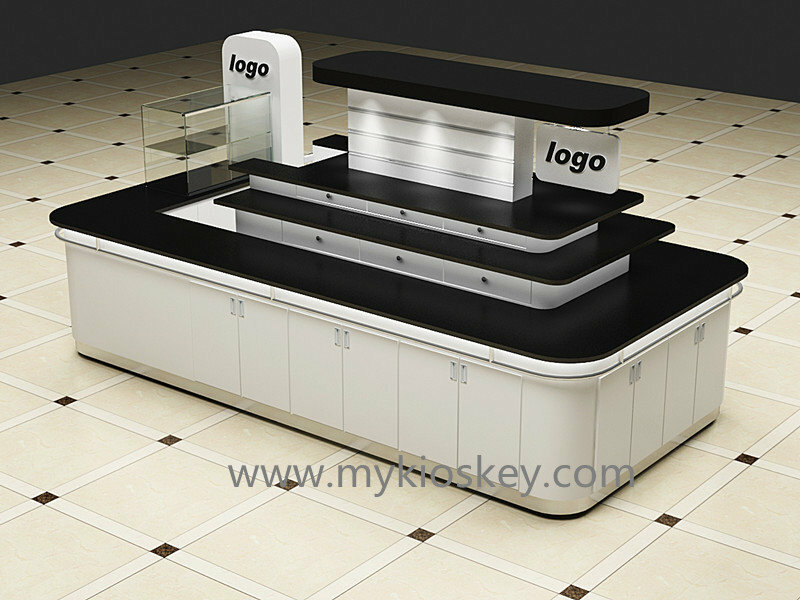 the front cash counter with luminous logo , very attractive and abvious . 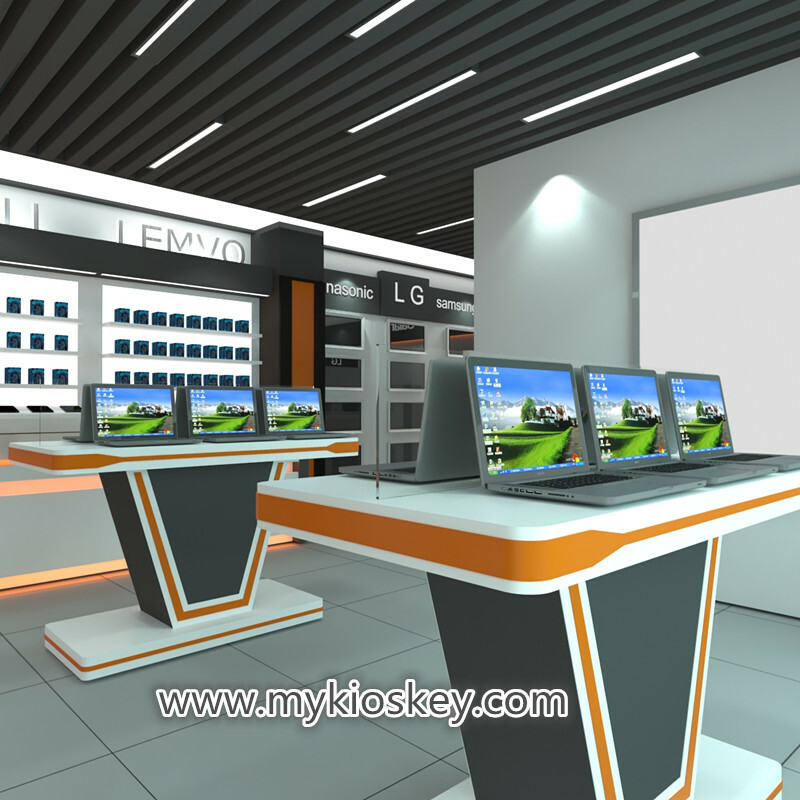 the below are real production photos , i think real photos is more beautiful . 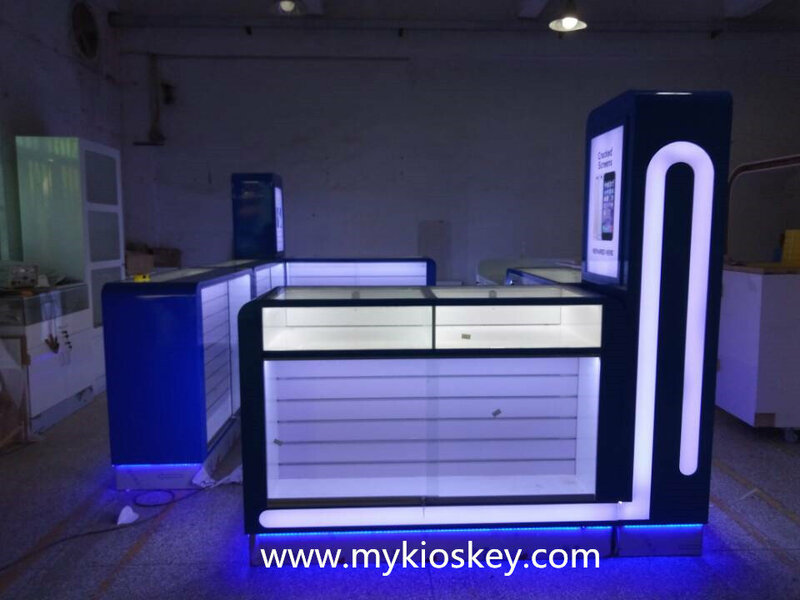 each cabinets all have led spot light and toe kick also with blue led strip. 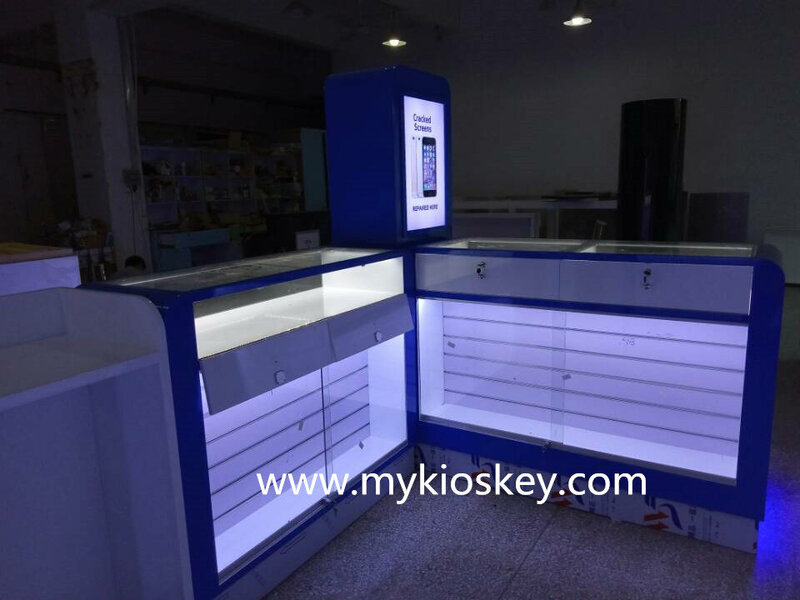 on the pillars , we put acrylic light strips , when night , you can see whole kiosk also is shine blue light . 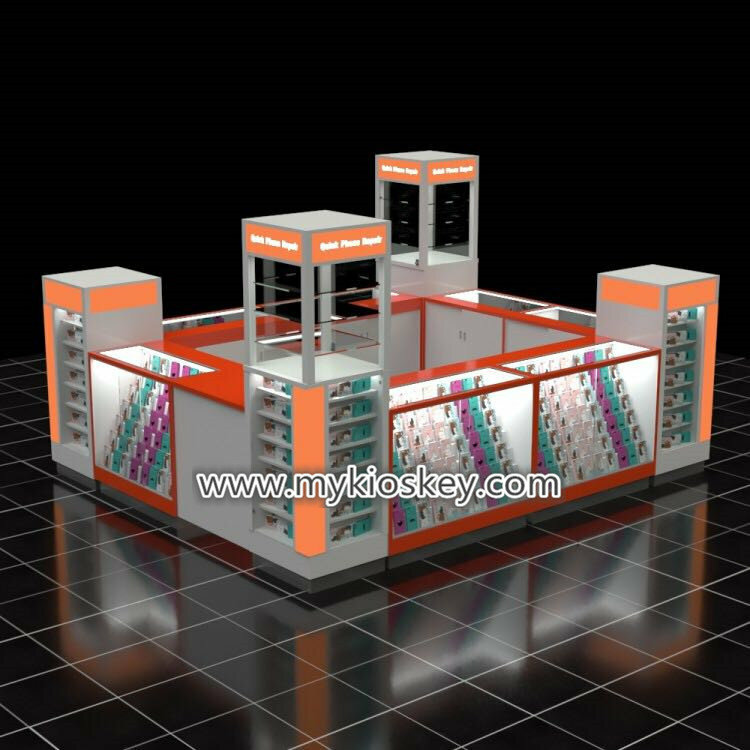 if you are interested in our products and below are some ways to help you place an order . 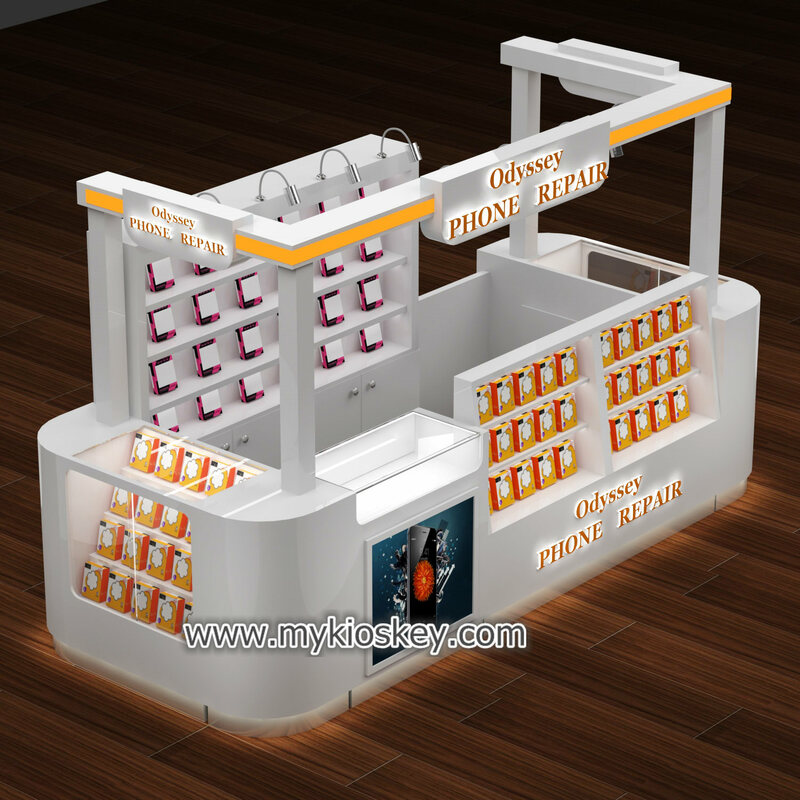 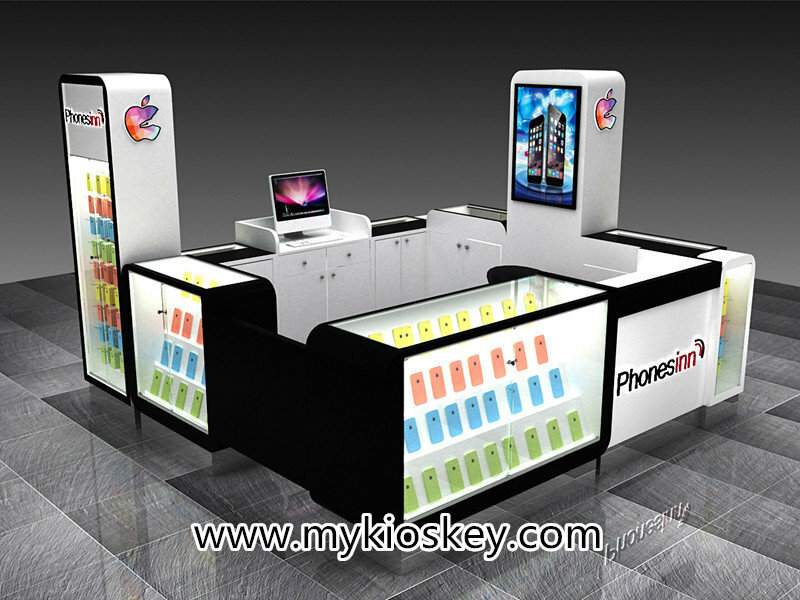 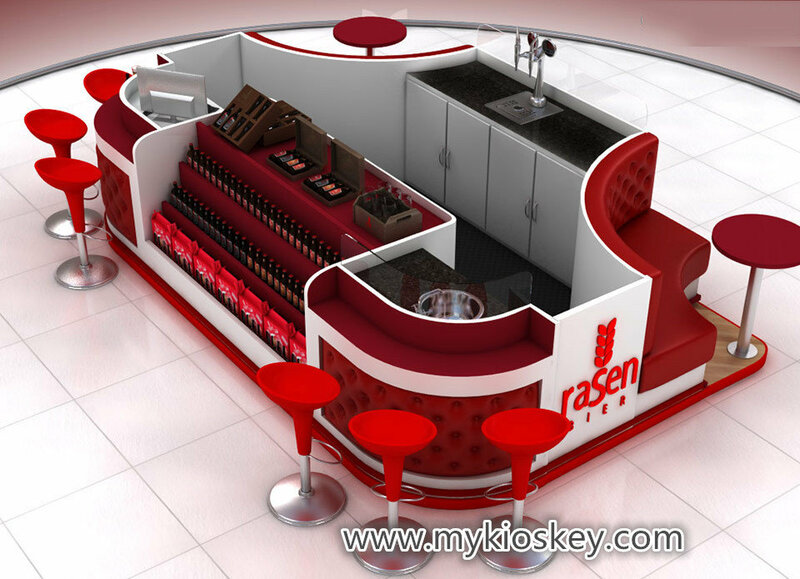 1-You need to contact our sales to discuss your specific requirement regarding the cell phone accessories kiosk.